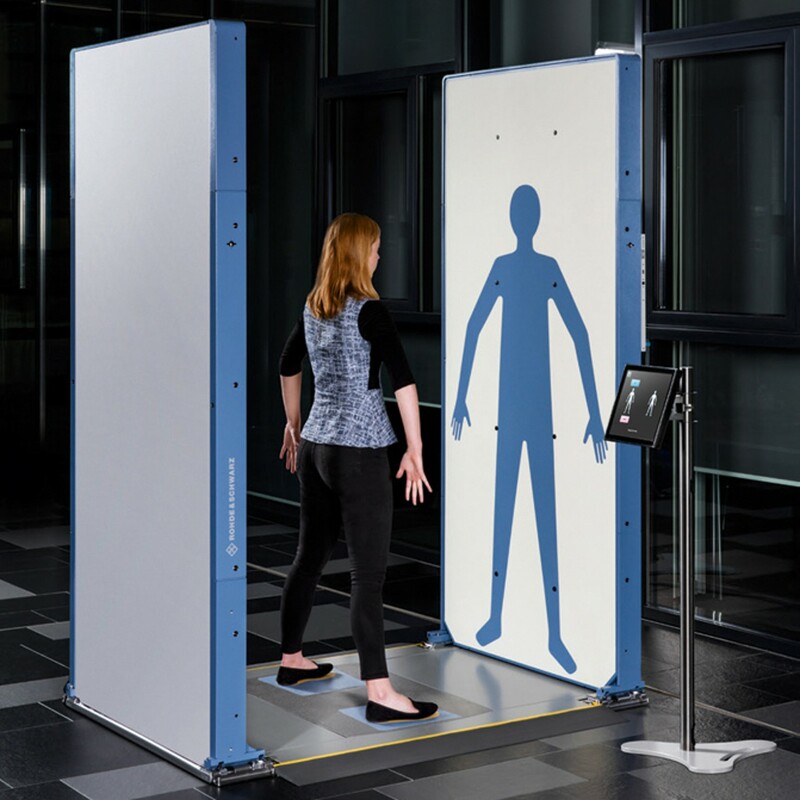 The R&S®QPS product series provides highresolution security scanning and was specifically designed to promote faster, more effective and comfortable people screening at security checkpoints. 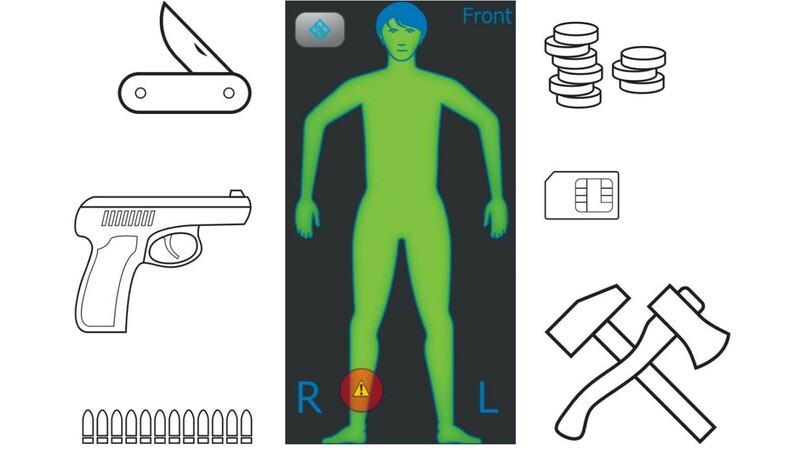 Utilizing safe millimeterwave radio frequency technology, R&S®QPS security scanners automatically and safely detect potentially dangerous person-borne threats and contraband. The R&S®QPS system improves detection while reducing potential false alarms systematic of existing technologies. Security operations have long demanded higher performance technology to support efficient checkpoint operations with the ability to detect an expanding range of threats and prohibited items. The challenge faced by screening systems is not simply accuracy but safety. While we want powerful systems that effectively detect threats, these same mechanisms must not harm the people who are scanned. A prime concern would be unhealthy exposure to ionizing radiation. 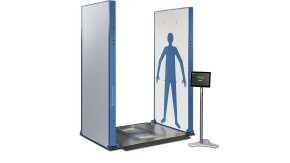 Passengers screening: The millimeterwave frequencies used for passenger screening reflect off the surface of the human body. 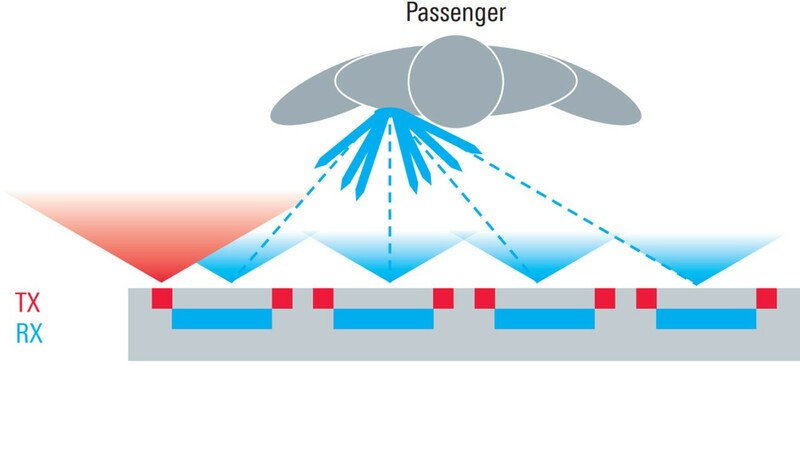 R&S®QPS technology operates in the millimeterwave range of the electromagnetic spectrum, similar to the frequencies used by vehicle parking sensors. The systems produce no ionizing radiation and their output power is less than a fraction of the output power of a mobile phone. The waves and energy emitted by the R&S®QPS travel through clothing, but do not penetrate the body. Instead, the waves “bounce back” and are combined to create an avatar with indicators showing where items have been detected within clothing. R&S®QPS systems do not penetrate the skin and do not disrupt the atomic structures of cells or DNA like X-rays and other types of ionizing radiation do. Safe for pregnant women and for individuals with hip/knee replacements, metal pins or other orthopedic implants, the R&S®QPS eliminates the need for special screening. 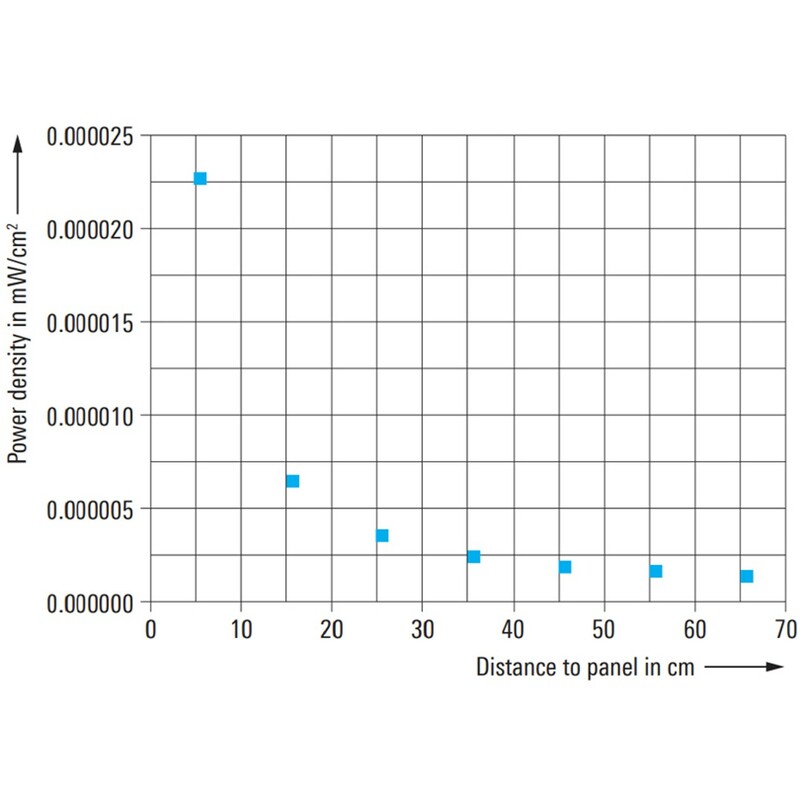 Emitted power from the R&S®QPS is 40 000 times lower than the ICNIRP guidelines of 1 mW/cm2 at a distance of 5 cm from the panels. Millions of patients worldwide rely on cardiac pacemakers and defibrillators to keep their hearts beating regularly. R&S®QPS technology has been tested by third-party labs and it has been conclusively demonstrated that its extremely low power is safe for human exposure (https://www.escardio.org/The-ESC/Press-Office/Press-releases/security-millimetre-wave-body-scanner-safe-for-patients-with-pacemakers-and-defibrillatorsEuropean Society of Cardiology, ESC Congress – August, 2018 report presented by Dr Carsten Lennerz, German Heart Centre Munich, Technical University ofMunich and German Centre for Cardiovascular Research (DZHK)). In fact, at the surface of the panels, the power of a single R&S®QPS scan is 40 000 times below the limit permitted by the International Council on Non-Ionizing Radiation Protection (ICNIRP). It is 500 000 times lower than permitted levels for the scan volume of the system. R&S®QPS systems process takes only 64 ms, which is 5 times faster than the blink of an eye. With electromagnetic energy over 1000 times less than the power emitted by a modern mobile phone, one million R&S®QPS scans causes less exposure than one minute of talking on a mobile phone, making the R&S®QPS safe for both the security operator and individuals being screened. Unparalleled detection: High-resolution millimeterwave technology provides unparalleled detection of both metallic and non-metallic materials with a significantly reduced false alarm rate. The R&S®QPS operates at a higher frequency range and delivers substantially improved performance and detection capability than currently deployed legacy AIT technology. With a resolution of 1.9 mm (smaller than the size of a match head), R&S®QPS technology can detect small quantities of contraband, threat material and anomalies. This increased eAIT performance addresses the well documented performance challenges of older AIT systems and supports mission critical security screening at airports, borders, buildings and in loss prevention applications where the detection of many different and smaller objects is required.